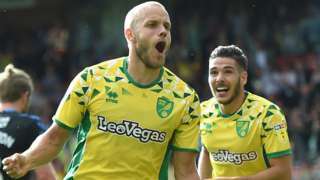 Middlesbrough suffer their first Championship defeat of the season and concede their first league goal in six as Norwich prevail. 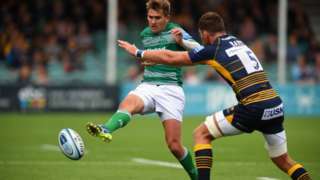 Newcastle claim their first win of the Premiership season as they condemn Worcester to a third straight defeat. A19 North Yorkshire both ways severe disruption, from A66 to Haverton Hill Road. A19 North Yorkshire - A19 Fleet Bridge Road closed and slow traffic in both directions from the A66 junction to Portrack Interchange, because of a police incident. A1(M) County Durham southbound severe accident, from J58 for A68 West Auckland Road to J57 for A66. A1(M) County Durham - One lane closed and queuing traffic on A1(M) southbound from J58, A68 (Burtree) in Durham to J57 A66(M) Darlington in North Yorkshire, because of an accident. Travel time is around 25 minutes. Our live updates here have finished for the day, thank you for joining us. This feed will be updated with any breaking news and sport stories tonight as well as travel updates. 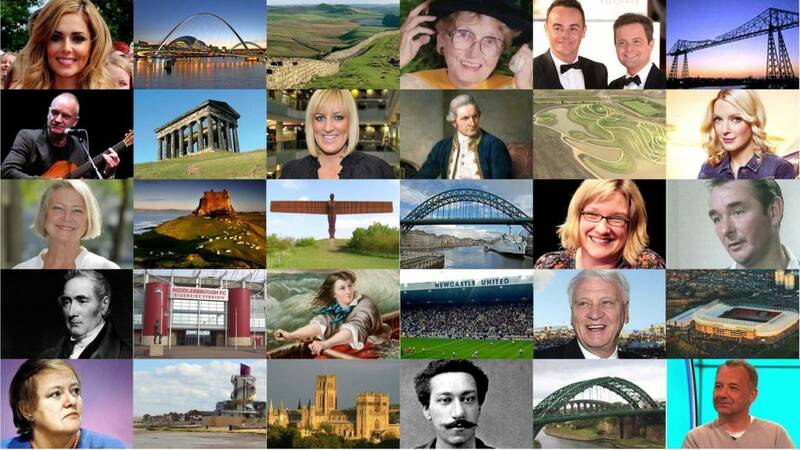 You can also stay up to date online, on BBC Newcastle, BBC Tees and on Look North. If you want to get in touch with any news or send us photos you can tweet us, contact us via our Facebook page or email us. 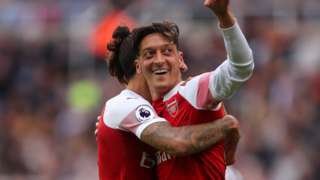 We'll be back on Monday from 08:00 with more live updates. Tyne And Wear southbound severe accident, from Alexandra Avenue to Deptford Terrace. Tyne And Wear - Queen Alexandra Bridge in Southwick closed and queuing traffic southbound from the Alexandra Avenue junction to the Deptford Terrace junction, because of an accident involving two vehicles. Predominantly dry through tonight with some clear breaks but at times, large amounts of cloud. The cloud will be thick enough to give the odd patch of drizzle. Moderate winds. It looks like staying largely dry through the course of tomorrow - just the small chance of a very light shower. Some cloud to come at times but equally, some bright or sunny spells too. A183 Tyne And Wear both ways severe accident, from Eldon Street to The royalty. A183 Tyne And Wear - A183 Chester Road in Sunderland closed and very slow traffic in both directions from the Eldon Street junction to The royalty junction, because of an accident involving pedestrian. Congestion to Chester Lodge Sunderland Hospital. A man taking part in last weekend's Great North Run has told how he helped give emergency aid to a fellow runner who had collapsed. Firefighter Nev Harris, who previously worked as a nurse, was among a number of people who sprung into action at about the six-mile mark of the event, which stretches from Newcastle to South Shields. 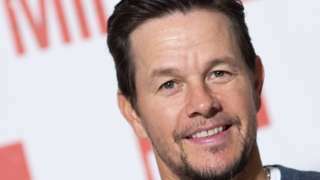 The 53-year-old, of Tyne and Wear, said: "I saw a guy by the side of the road. He was on his side with two people already with him. "I checked his radial pulse, but it was very weak. He was struggling, his eyes were wide and his colour wasn't good." After being joined by St John Ambulance volunteers and police officers, a shock was administered with a defibrillator followed by CPR. Other runners and spectators formed a line to protect the runner's dignity and formed a human chain to enable the stretcher to be taken to a waiting ambulance. "It was an amazing experience," added Nev, who was running in aid of The Brain Tumour Charity. "I get goose pimples thinking about it." A Newcastle Labour MP has stressed she's not trying to get rid of her Newcastle accent, after newspapers reported she'd claimed for £250 expenses for voice coaching. The Telegraph, among others, said Chi Onwurah had had training with a voice coach who has previously worked for the Royal Opera House and the Royal Shakespeare Company, referring to the Newcastle Central MP's "mild Geordie accent". Ms Onwurah said it was "media training that has been mislabelled as voice coaching". "Media is an increasing part of my job and I know my constituents want me to be able to get their concerns across, with an often hostile media," she said. "That can be hard for a working class girl from a council estate." "It's of course southern journalists who assume that someone from the North would want to lose their accent," Ms Onwurah said. "I admit that I am concerned that spending so much time in Westminster with so many privately educated journalists, lobbyists and MPs might change my accent, in which case I might need voice coaching lessons in Newcastle to get it back." Residents opposing plans to open a recovery hub for drug and alcohol addicts at a community library confronted council bosses in a fiery meeting. 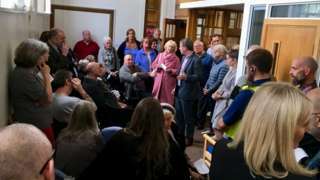 Dozens of furious neighbours packed into a small room in Fenham Library to take Newcastle City Council chiefs to task over the hugely controversial decision. The local authority was accused of "doing things by the back door" and acting in "a deceitful and underhanded way" at the angry debate. Throughout the process of obtaining planning permission for the project, council documents referred to the new development only as a "health and wellbeing hub" - with no mention of addiction recovery services. The council admitted at the heated meeting on Thursday afternoon that it should have consulted more with residents, but maintained that the proposal is "necessary" to reduce the city's drug problem and to save the library from closure. Many residents have said that they will not take their children to a centre used by recovering addicts, though the council stresses that it will not house clinical services, prescription distribution or a needle exchange. Eugene Milne, the city's director of public health, said: "If we don't do this, we will lose the money. The money will go and the library will close. "We won't have the facility and if we don't have the facility to support people getting off drugs and alcohol that means we will have more people who don't recover. Residents demanded that building work to transform the library is halted until a full consultation is carried out. 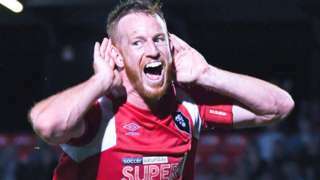 However, Mr Milne told the meeting that he does not expect a new consultation will take place. The authority says that the new facility will be designed to support addicts and their families by providing access to private consultations, a gym and a café. There will also be health and nutrition advice, space for family activities, counselling services, and stop smoking support. 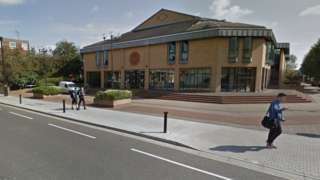 A number of residents said they feared drug dealers would target recovering addicts using the centre and that children could pick up pills and needles would be left nearby. Councillor Kim McGuinness, the council's cabinet member for culture, sport and public health, promised that the council would have a "proper look" at reviewing its consultation process and that a second public meeting would be held at a larger venue next Thursday. 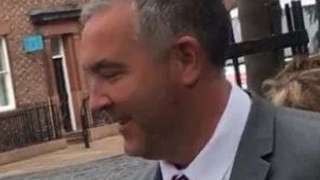 Sergeant Stephen Light was "simmering with resentment" when he launched the attack, a court heard. David Whinham sent us these beautiful photos of sunflowers near Warkworth Castle in Northumberland. If you have a photo you'd like us to use, you can tweet us, contact us via our Facebook page or email us.